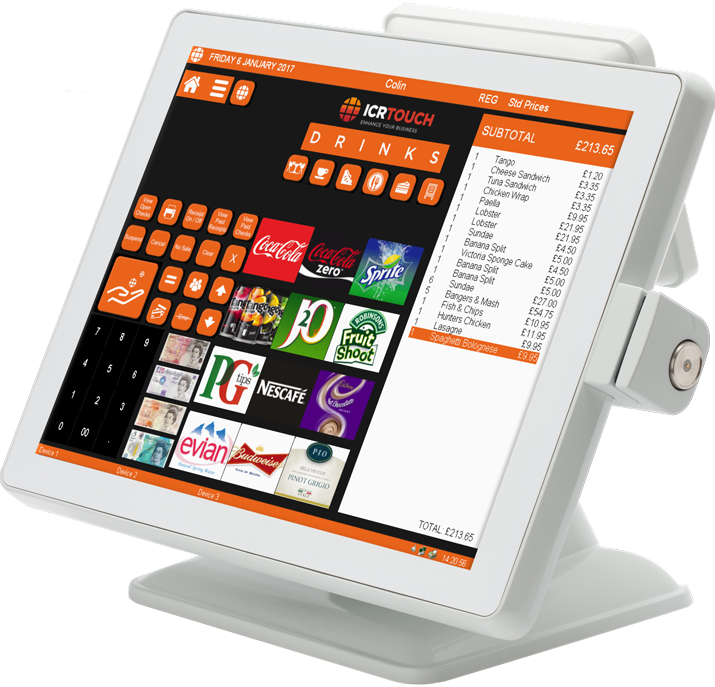 A simple and customizable touch screen till software for your ePOS system. ICRTouch TouchPoint provides users and effortless and reliable service. It is one of the leading till software for POS systems for hospitality and retail businesses. With many features and customizable options, it keeps everything running smoothly and also provides intuitive use for managers and staff of all abilities and roles to get up to speed quickly. Provides a visual representation of your service areas in your business with numerous levels and numbered tables. You can change languages for the assigned operator that’s using the till system. Orders going through to the kitchen can be displayed in a secondary language if any of the kitchen staff are non-native readers. You can still make sales, use and pay off tables, split bills and send orders through to the kitchen without having to rely on an internet connection. Sales are stored locally, so in the even of a power cut, data will not be lost. You can view clock and out times for employees shifts to assist with payroll administration. All clerk operation are recorded within the system’s journal to identify training issues and make sure that the correct buttons are being pressed. Incentive best performing staff and keep track using the standard reports. The integrated CCTV syncs with the audit trail which means you get operation information overlaid on CCTV playback to see what’s happening at the till and by whom.